This classic Rizzoli book was a precedent for the monograph’s image-based approach. 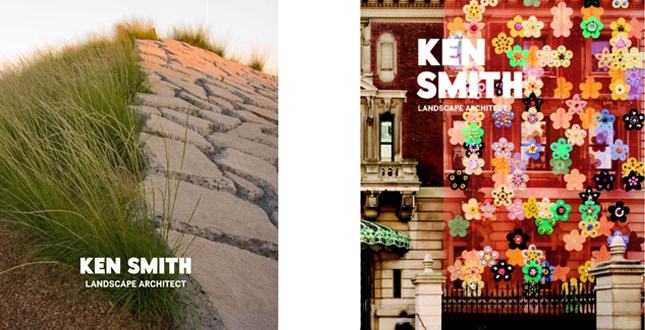 Left: A provisional cover was designed to look like a landscape architect’s book with real plants and landscape materials. 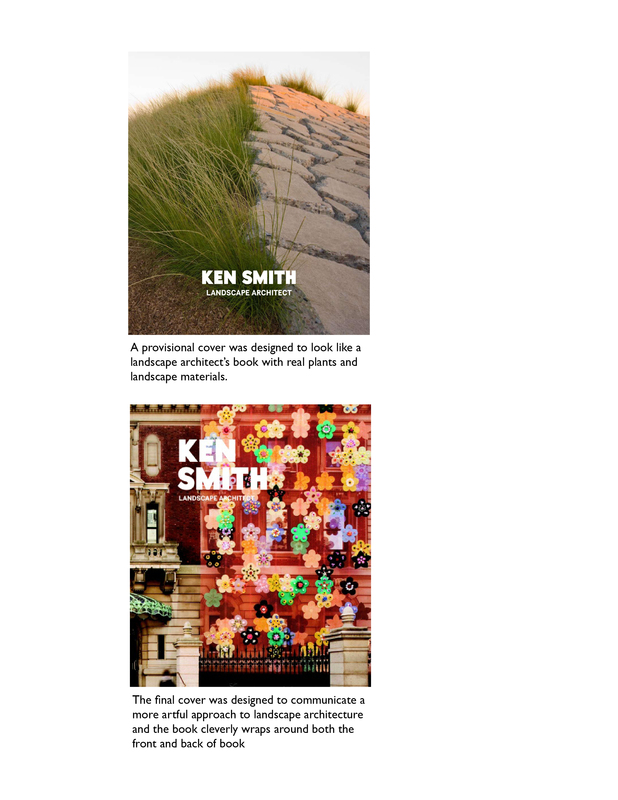 Right: The final cover was designed to communicate a more artful approach to landscape architecture and the book cleverly wraps around both the front and back of book. 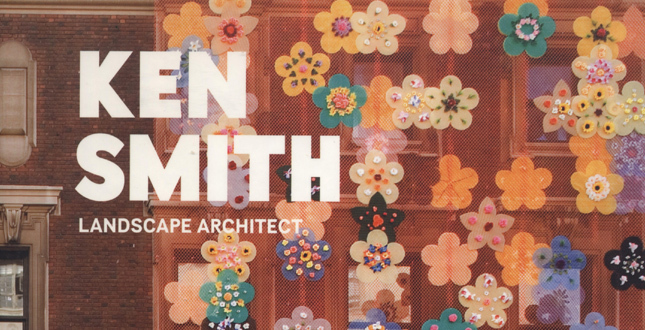 This mid-career monograph represents a distinctive approach to a singular vision of a contemporary landscape design. 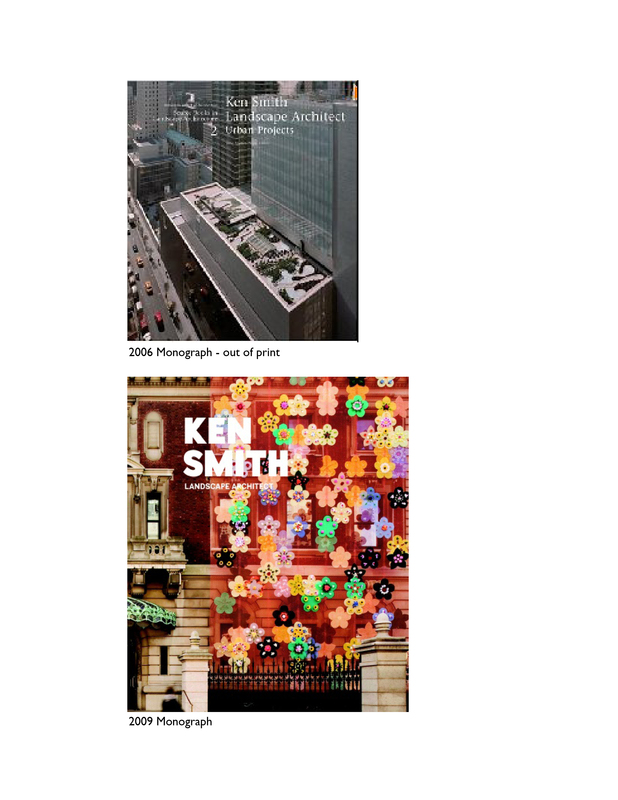 The monograph breaks new ground in landscape architecture books with its integrated use of text, graphic layout, and photography of built projects, which are structurally formulated to reinforce the author's design approach. 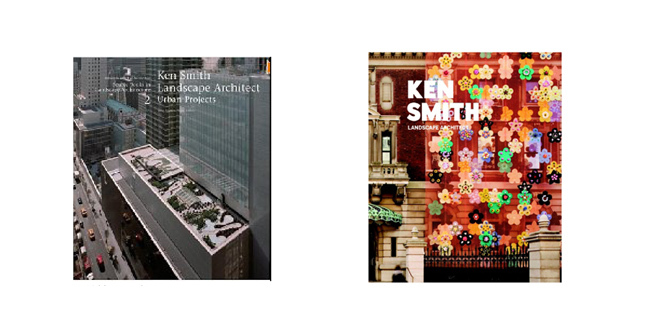 With a initial U.S. distribution of 3,000 books this is the second monograph on this landscape architect's work. It is available in bookstore and online stores, such as Amazon, William Stout, and Barnes and Noble. The first monograph was published in 2006 by Princeton Architectural Press with Jane Amidon as the series editor in conjunction with the Knowlton School of Architecture at Ohio State University. 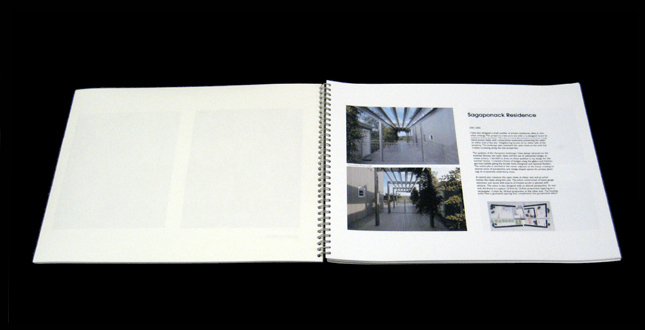 The monograph was number two in the school's Source Books in Landscape Architecture. This first monograph focused on three projects of the landscape architect and was narrated as an interview format of questions and answers that provided the text for the work. The monograph focused on the working methodology and ideas of the landscape architect and his office. The monograph sold out its first printing and was reprinted and today is out of print. 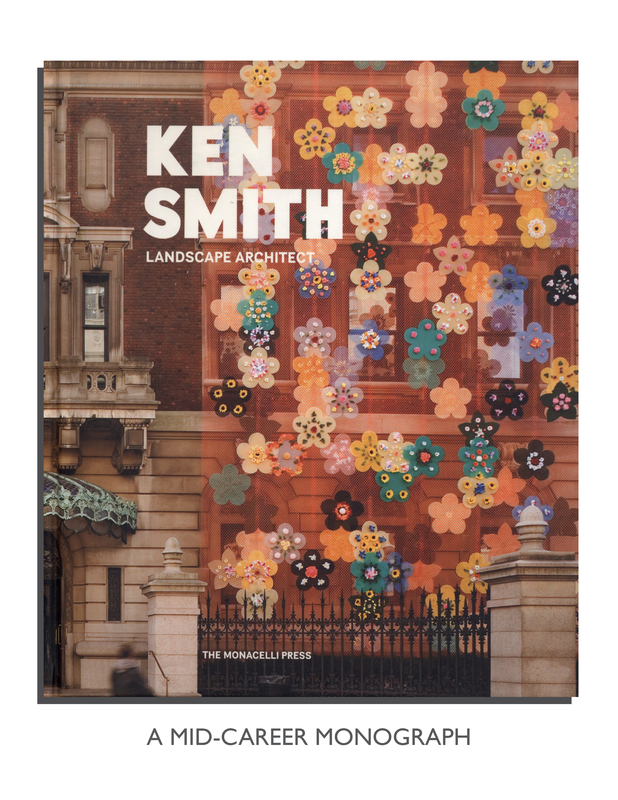 In late 2007 the landscape architect was contacted by the editor at Monacelli Press following a lecture at a Garden Conservancy symposium New York City. A studio visit was arranged and the editor inquired if the office had enough built work for a new monograph. Several months later a CD of office projects was sent to the publisher and in July 2008 the editor replied, I'm sorry it's taken me so long to get back to you. It has been quite a period of settling in at Random House, and just as we were trying to get all our fall books off to the printer. But we finally have a little time to look to the future. The CD you sent is incredibly helpful. Is that what you are thinking of as the organization of the book—art projects, early projects, public projects, residential projects, unbuilt projects? Let me know and let's plan a follow-up meeting in August, if you're both around. 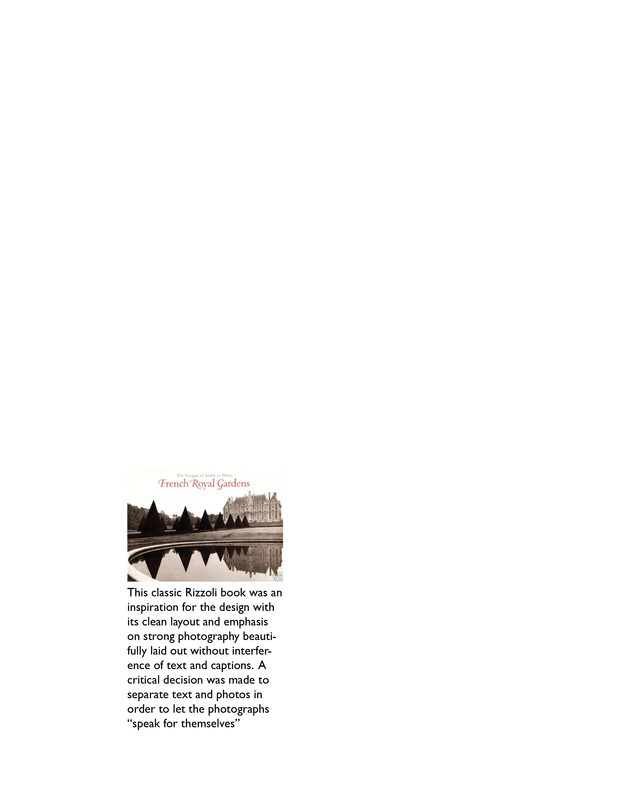 The landscape architect replied, Glad to hear from you that you are still interested. I think art projects/installations, early projects, public projects, residential projects and unbuilt projects is a reasonable working outline. August sounds good for getting started. At this point the project began to take form. The landscape architect prepared an outline for selected projects representing 17 years of design work. It was proposed to present 15 built projects in chronological order. An initial working meeting was set up with the editor where several key ideas for the monograph were determined that would shape the monograph. It was decided that the new monograph needed to be distinctly different from the first monograph. 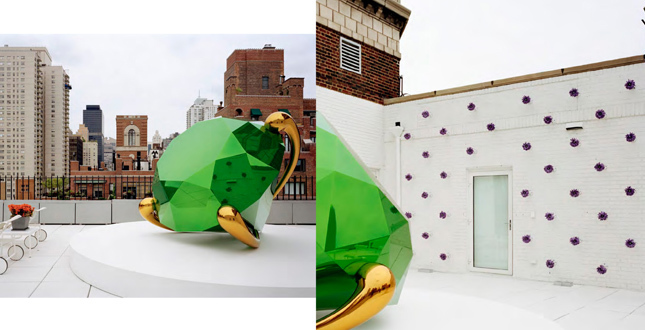 It was decided that the new monograph would be envisioned as a museum-type publication that would accompany a museum mid-career retrospective, although in this case without the museum show. Since the landscape architect had been commissioning professional photography of his built work over the years as the work was completed and with subsequent photography of mature work, there was a very solid selection of high-quality photographs available to represent the work. It was decided that the book would focus exclusively on built projects and would graphically focus on the photography as stand-alone objects without illustrations or label text. 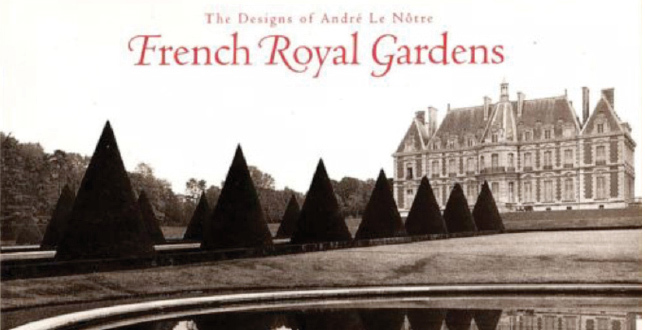 The team studied museum catalogs of works by photographers such as Lee Friedlander and Catherine Opie and in particular an old 1992 Rizzoli publication French Royal Gardens: The Designs of Andre Le Notre with text by Vincent Scully and photographs by Jeannie Baubion-Mackler. What stood out from these precedents was the well-proportioned layout of photographs separated from the book's text. A most important concept was to let the photographs "speak for themselves." 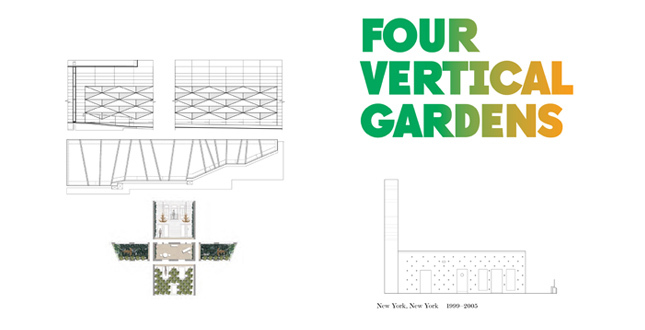 The landscape architect asked John Beardsley, whom he had taught with at Harvard to write a short introductory essay and Michael Bierut of Pentagram, who the landscape architect had worked with previously to provide the graphic design for the book. Both agreed and the team was set. The landscape architect designated a staff person in his office to work half time on the project to coordinate the effort, secure credits and permissions and prepare supplemental materials. After discussion it was decided that the project descriptions texts should be written in first-person voice. Two sample project descriptions were written in both first-and third-person voices. The first-person approach was judged to be better suited in communication of artistic authorship of the design work as that of the landscape architect. There were several issues of book format. For production cost issues the book was to be published in a standard size. 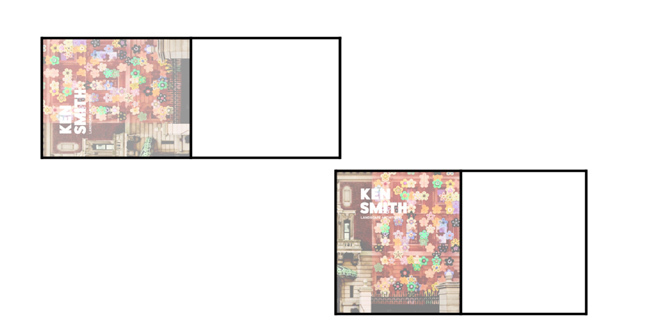 Initially the publisher suggested a horizontal format because the subject was landscape and thus horizontal. 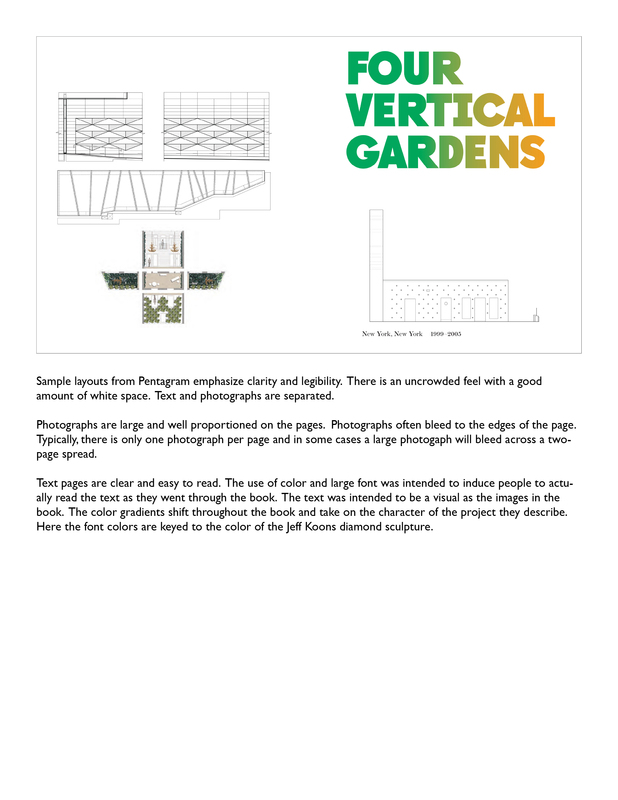 The landscape architect and the graphic designer felt a vertical format better suited to the format of the photography. The first week of December the landscape architect issues the proposed outline of the 14 projects to be included in the monograph. The editor requested the addition of a second residential project to the book with a suburban setting to give it a better balance. This brought the total number of projects to 15. At the end of December, over the year-end holiday, the landscape architect, in the quiet of a holiday week wrote out the first draft of the first-person narrative descriptions. Writing them in one effort gave them an overarching master narrative with concerns and practices of his design approach woven through the entire set of description. Frank Edgerton Martin was hired to edit the texts and provide some supplemental text writing. Editing and finalizing the texts occurred during the month of January 2009. 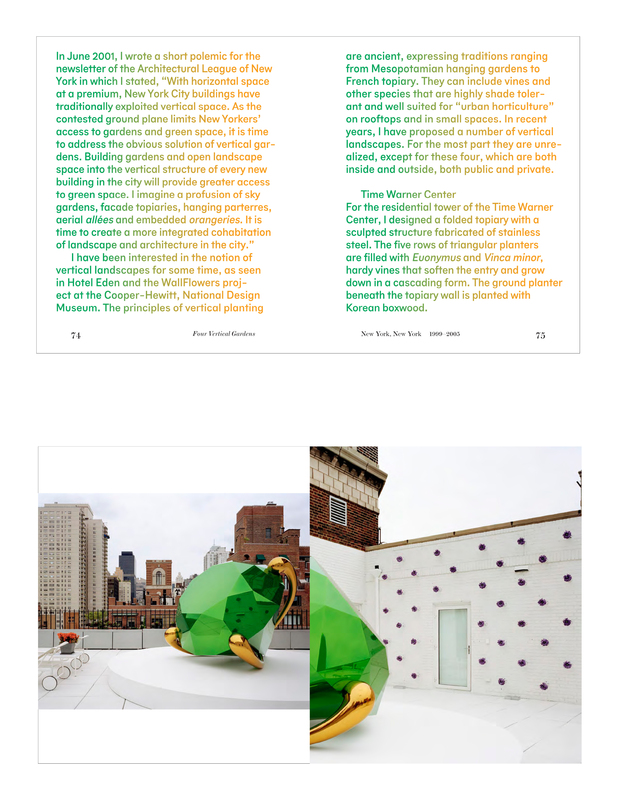 Also in the first week of January the landscape architect prepared an InDesign rough layout in 11 by 14 format (totaling 55 single-sided pages) of the 15 projects including the draft texts and an initial selection of images that he felt best represented the projects. This draft was then submitted to the essay writer and the graphic designers as a sort of road map of the monograph. John Beardsley came to the landscape architect's office in the first week of February and spent a half-day interviewing the landscape architect for the essay. The first draft of the edited narrative text descriptions were issued for review. More critically the provisional cover design needed to be determined by mid-February in order for the book cover and description to be included in the Frankfurt Book Fair, which is held the first week in March. The first pass of John Beardsley's essay was received the first week of March and minor edits were turned around one week later. 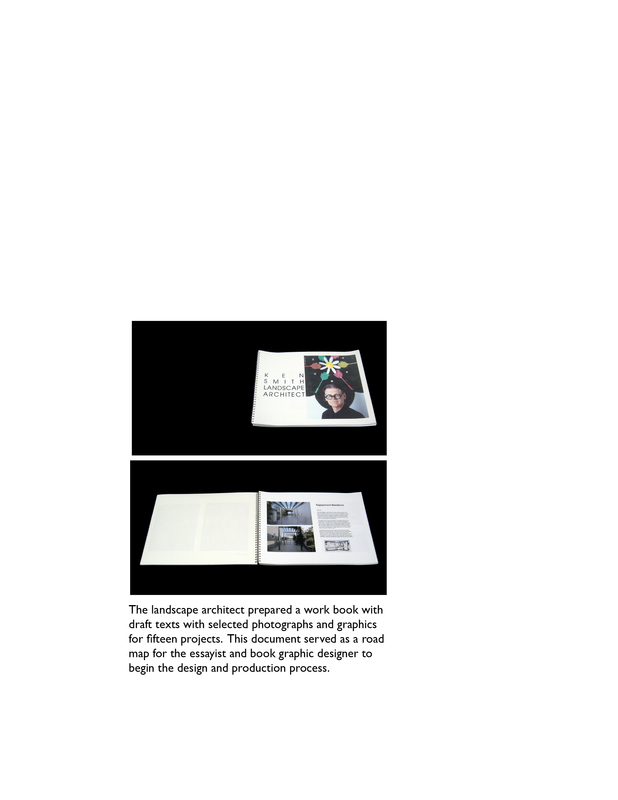 Also the first week in March, Pentagram submitted their test layouts exploring how the book format would work for two very different projects, PS 19 and 55 Water Street. This first draft also introduced the graphic concept of the oversize text using a font called GROSS (designed by a student of Michael Bierut's at the Parson School of Design) with a color gradient as a leitmotif for the book. In mid-March the editor sent a stern email reminder about keeping the project on schedule in order to make a November 2009 release date. With all of the proposed texts complete the book editor did one last thorough review and edit of the manuscript, tightening it up and correcting inconsistencies. Also affecting the finalization of the book was the decision to include as the last project in the book, the Lola Bryant Community Garden, a project that was still under construction. Photographer Peter Mauss had been hired to photograph this final project on the last available day according to the production schedule in the third week of April. The construction crews were scrambling to complete the project but unfortunately it wasn't going to be planted in time for the photo shoot. As an act of improvisation it was decided to stage a community planting day with youth labor and the landscape architect architect's staff and photograph the project as a work in progress. While not finished this showed off the project well and made for a good last chapter in the book. 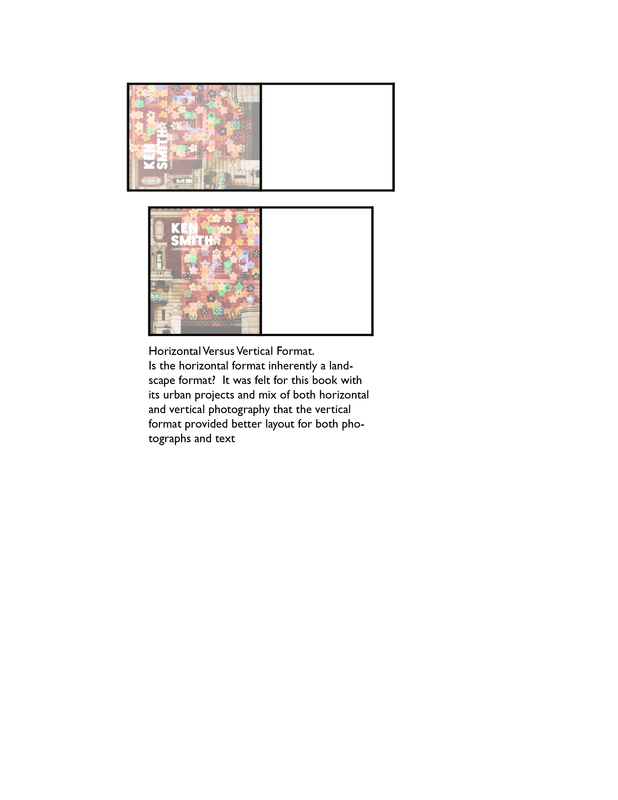 Pentagram submitted completed graphic layout. Final comments and edits were made by the landscape architect, his staff and the editor in a one-week turnaround. A few remaining photographer approvals were received as well as compiling project credits, and staff lists for the back matter of the book. Landscape architect went to the publisher's office to review the single proof copy sent by the printer China. All comments had to be made during the office visit. Also a revised cover design, with a wraparound image, was reviewed and deemed clearly superior to the provisional cover that had been submitted for the Frankfurt Book Fair.